Swing Components, A component is an object having a graphical representation that can be displayed on the screen and that can interact with the user. Examples of components are the buttons, checkboxes, and scrollbars of a typical graphical user interface. Swing components are fundamental building pieces of an application. Swing has an extensive variety of different segments, including buttons, check boxes, sliders, and list boxes. 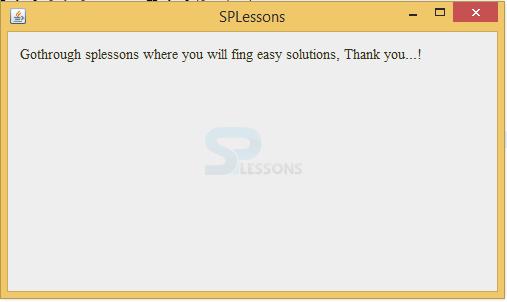 SPLesson tutorial will explain the various kind of components as follows. JLabel is the component utilized to expose the text, images. The pack() method resizes the window. When compile the code following output will be generated. Generally check box will have two functionalities that ON mode and OFF mode, when user click on the check box that means it has to be true otherwise false. This class implemented the ItemListener, why because to provide itemStateChanged() method. JCheckBox is created. This constructor takes a text and the state of the check box as parameters. The check box is initially selected. Here called the ItemEvent’s getStateChange() method to determine the state of the check box. ItemEvent is a semantic event which indicates that an item was selected or deselected. It is sent to the registered observer. Depending on the state of the check box, we show or hide the title of the window using the setTitle() method. When compile the code following is the output will be generated. 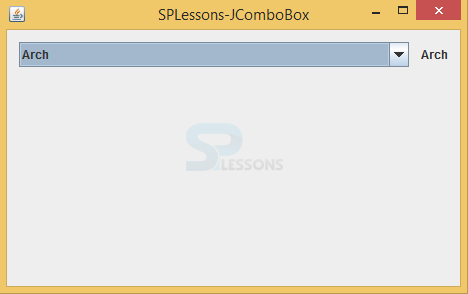 Combo box is used to select single element from multiple, here user can select an element from the drop down list. 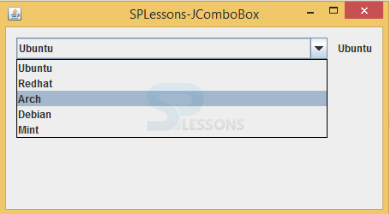 The JComboBox will hold these string values. To display the selected element. Here user can select the an element. 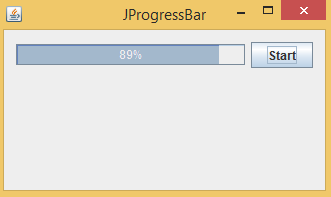 ProgressBar represents the progress of the task in percent format. Before digital marketing progressBar was used in computer environment to know the status of the transferring data from one system to other devices such as pen drive. Following is the syntax. Create the package and import Swing containers to inherit the properties and methods. Create a class ProgressBar that should extend JFrame, ProgressBar will hire the properties from the JFrame. Create required events i.e create timer to check the status, create ProgressBar to scroll from starting to ending, Create button such as start or stop . Create a constructor that should be same as class name and create the method inside the constructor. Call the created method and create object to Progress bar, add paint to the progress scrolling status. 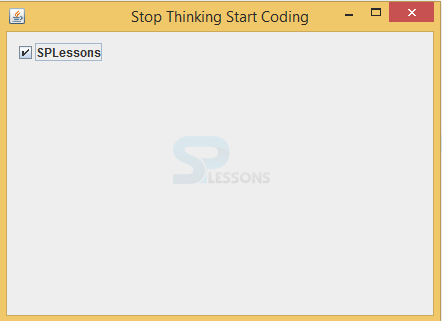 Create object to the start button and implement ActionInterface interface. When user click on start button, action will be performed. Add listener to the timer that is UpdateBarListener(). Create layout to the ProgressBar and start button and create title to the window, add termination method to the window. Turn on gaps between the components automatically. Create the sequential group at horizontal axis and create parallel group at vertical axis. Implement ActionListener on start button and set the percent to 100. If status crosses the 100 then automatically terminates program. Output will be as follows, when click on start button data transferring will be started in percent format, after completion of the progress it will be ended. This button will have two states such as pressed or not pressed. Following is an example which describes more about this. When compile the code following is the output will be displayed where user press any button then corresponding functionality will be exposed. The JSlider is the Swing Components utilized to represent the graphical data between a particular interval of time. 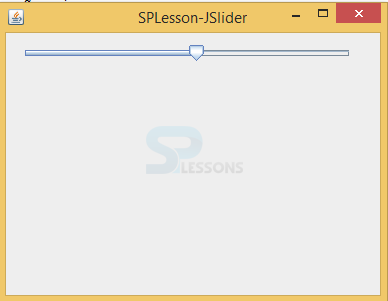 In the code example, a value selected from a slider is displayed in a label component. A JSlider is created with the minimum, maximum, and current values are parameters. Following is the output will be generated when compile the code. Swing Components – JComboBox combines a button or editable field and a drop-down list. 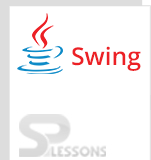 Swing Components – To create the gap between the Swing Components developer will use setAutoCreateContainerGaps(true);. Swing Components – While fetching the data from one device to another device, data will be visible in percent format.